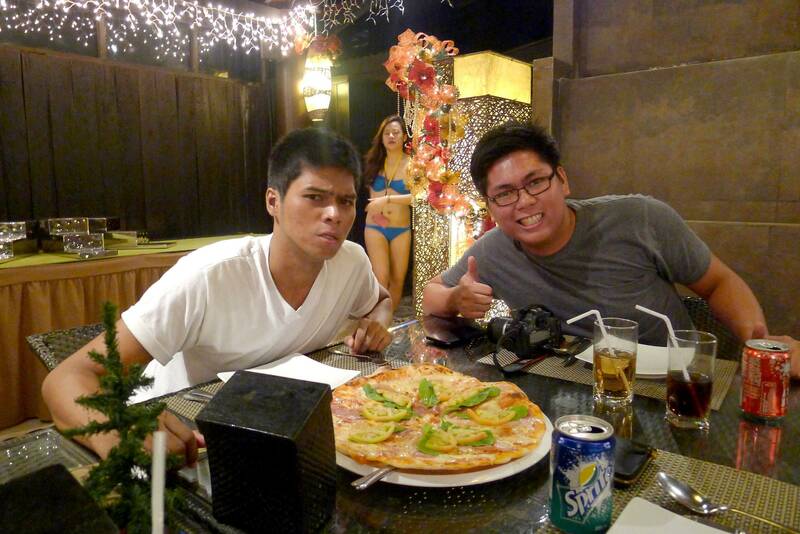 Thank God for friends of friends I now have a reason to go back to the beautiful island of Boracay! 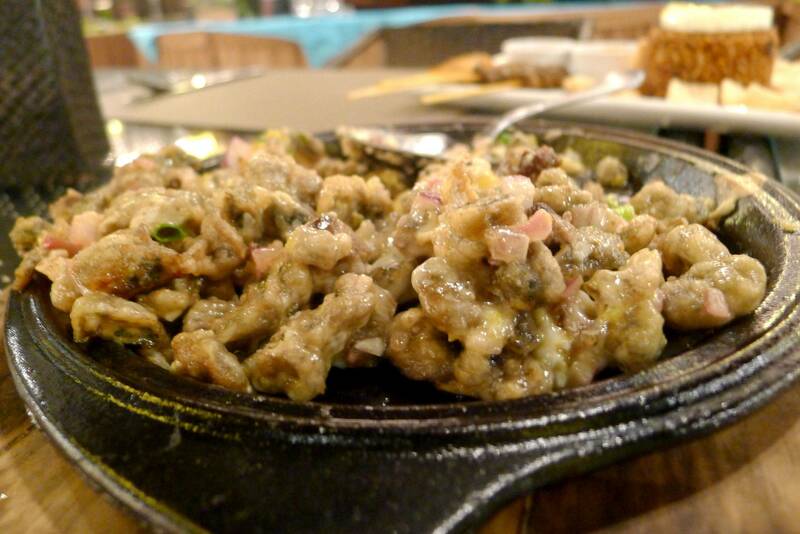 :) The photo you see above is a dish called Oyster Sisig. I love oysters! No wonder I couldn't say no when my friends wanted to have dinner at barLO's. The oyster sisig tastes fresh, sweet.. and crunchy! 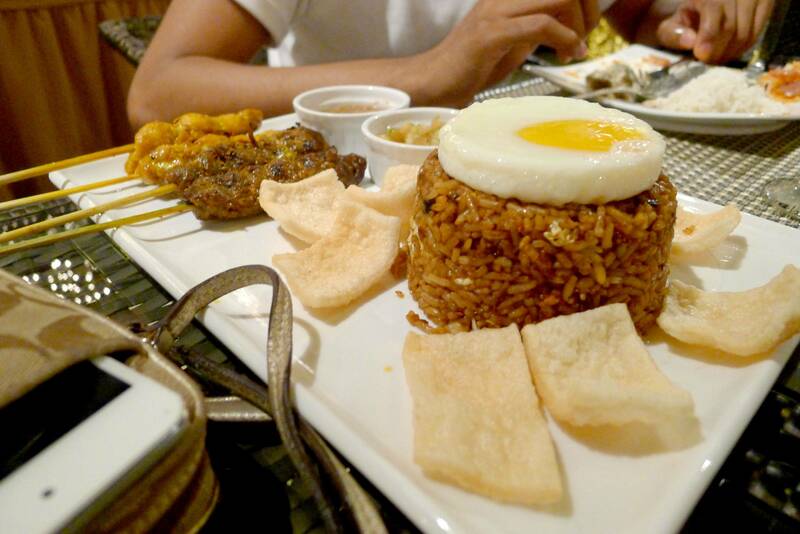 It has this melt in your mouth feeling, definitely worth coming back. 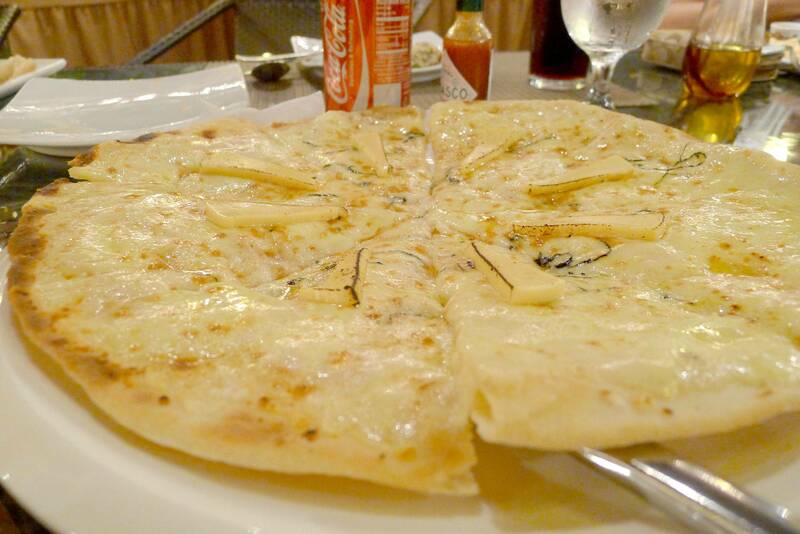 Another must try dish from the barLO menu is their Four Cheese Pizza. 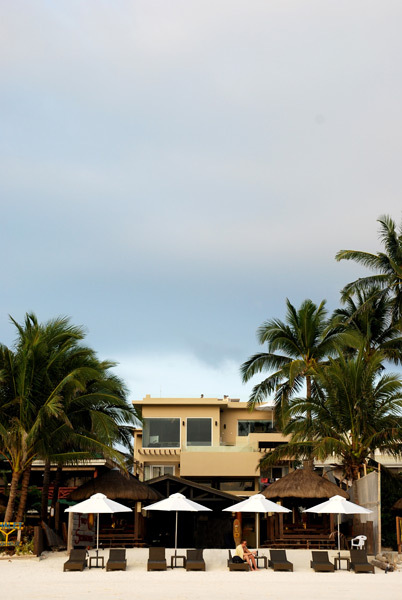 According to Chef Gene Gonzales, the pizza is a "combination of blue, gruyere, mozzarella, and queso fresco sprinkled with a fresh chiffonade of fragrant basil." We ordered not one, but two pizza's! Here's Jamie and Nico enjoying the pizza margherita with proscuitto, tomatoes and basil. 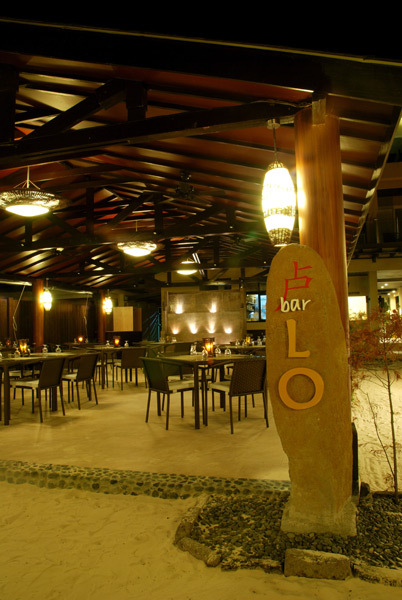 barLO is definitely one of the places to be in Boracay for good and yummy food. You guys might want to check it out! 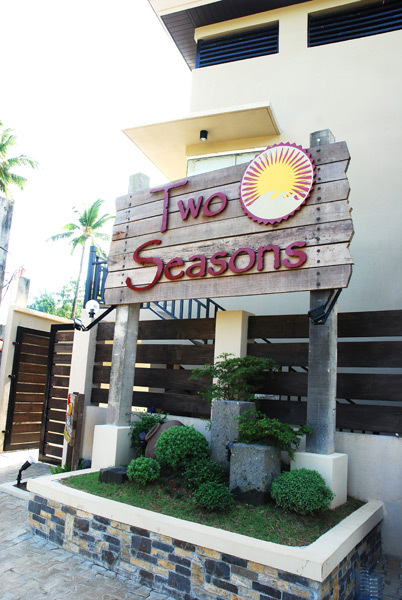 Or better yet, why not stay in Two Seasons? You may book with them through Asiatravel.com!